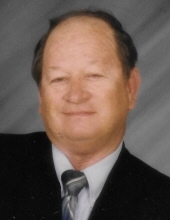 Richard O. Eastham, 75, of Le Roy, passed away at 5:30 P.M. Wednesday, October 24, 2018, at his son’s home in Le Roy. Memorial contributions may be made to the Community Cancer Center, Normal. Mr. Eastham was born May 15, 1943, in Bloomington, Illinois, to Ollie and Zelma Irene Blake Eastham. He married Sharon K. Nalley October 9, 1965, in Le Roy, Illinois. They were married until 1990. He is survived by his one son, Jeff (Lidia Navarra) Eastham of Le Roy; four grandchildren, Kyle, Cory, Austin, and Karlee Eastham; one daughter-in-law, Amy Eastham of Le Roy; and one brother, Paul Eastham of Bloomington. Richard was preceded in death by his parents, one son, Tim Eastham and three brothers, Robert, David and Joe Eastham. Richard was a United States Marine Corps veteran and served during Vietnam from 1960 to 1964. He was a retired Railroad supervisor and worked for Penn Central, Conrail and CSX railroads. Richard was a member of Bethel Church, Le Roy, the NRA, and the Republican party.